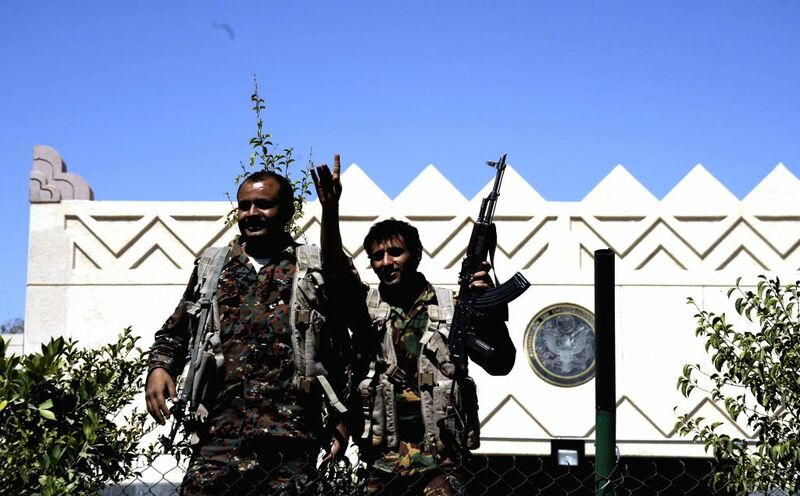 SANAA, March 4, 2015 - Two Yemeni soldiers stand in front of the U.S. embassy as the Yemeni authorities ordered to remove barriers, which were set up in front of the embassy after it was closed in early February, in Sanaa, capital of Yemen, on March 4, 2015. More than 10 countries closed their embassies in Sanaa in early February to protest against the Houthi's takeover of power. 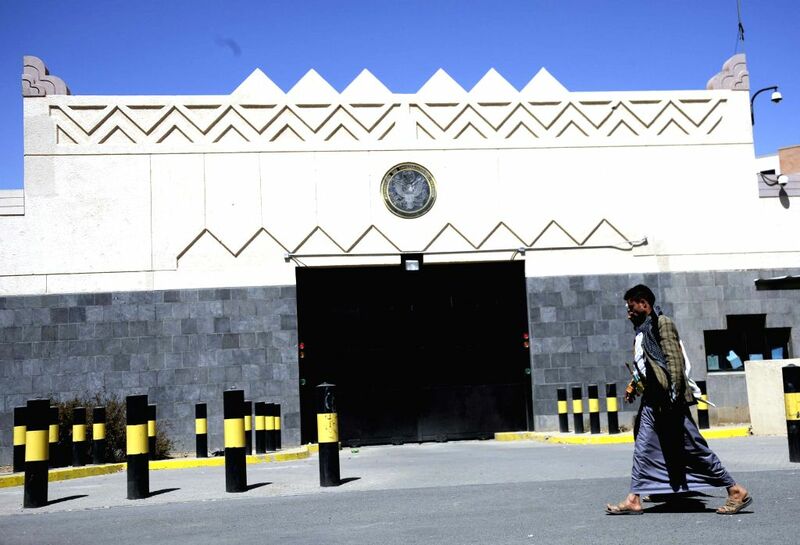 Yemenis walk past the U.S. embassy as the Yemeni authorities ordered to remove barriers, which were set up in front of the embassy after it was closed in early February, in Sanaa, capital of Yemen, on March 4, 2015. 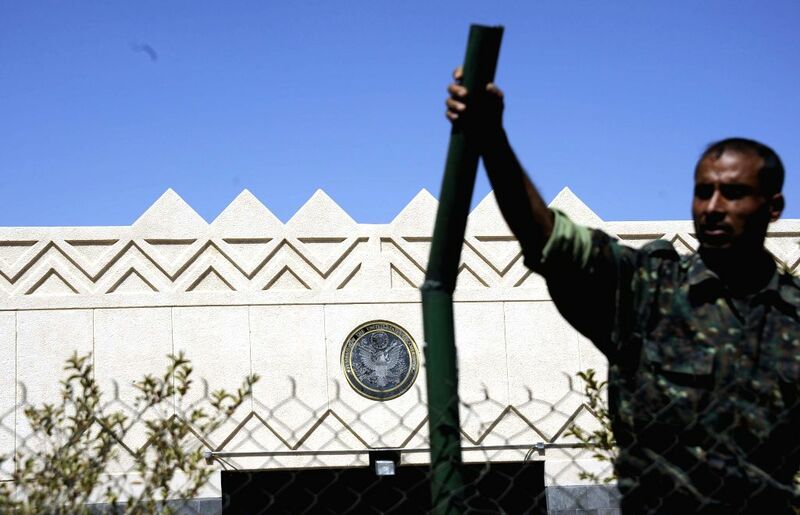 A Yemeni soldier stands in front of the U.S. embassy as the Yemeni authorities ordered to remove barriers, which were set up in front of the embassy after it was closed in early February, in Sanaa, capital of Yemen, on March 4, 2015. 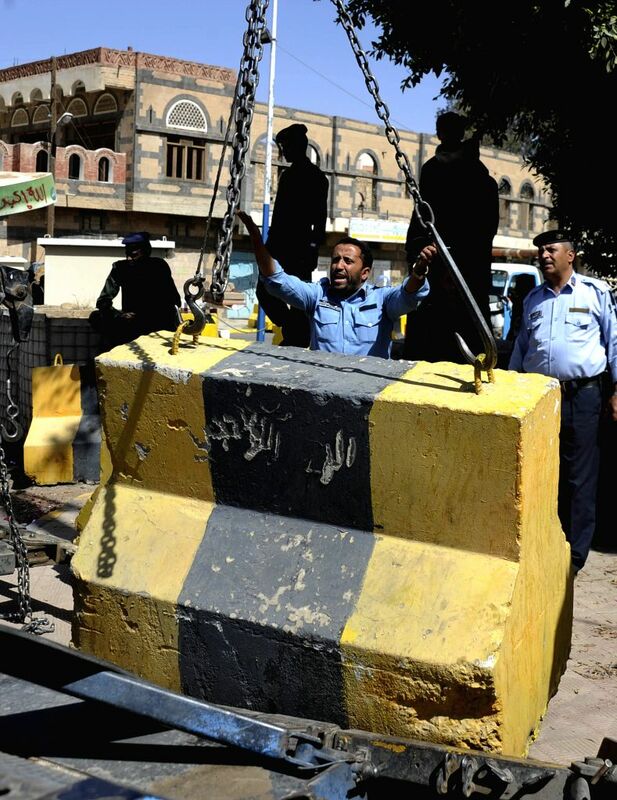 Yemeni security members remove barriers, which were set up in front of the U.S. embassy after it was closed in early February, in Sanaa, capital of Yemen, on March 4, 2015.